Q: I was wondering, what do I need to do to make a fresh tuna taste like tuna from a can? I want to make a healthy tuna spread but I don't want to use canned tuna. 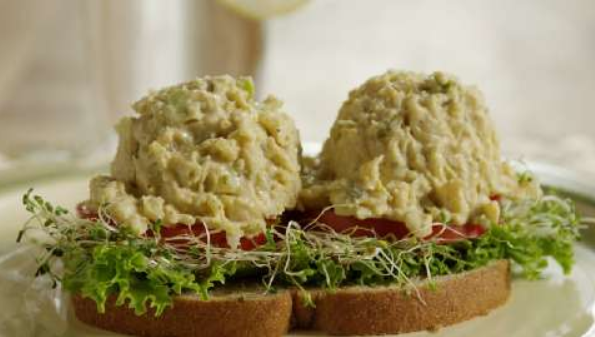 I want to use fresh tuna as the main ingredient and I want to make a healthy sandwich spread. Problem is, canned tuna is tastier when you mix it with ingredients to make a sandwich compared to fresh tuna. How do I make fresh tuna delicious as well? Thank you. In order to make fresh tuna taste like tuna from a can, what you're looking for is a recipe for oil-poached tuna. This is fairly easy and quick to prepare. Season fresh tuna with salt and pepper, and add to a saucepan with a little chopped garlic and just enough oil to cover the fish. Poach the fish over medium-low heat at a gentle simmer for 10 minutes, or until it is opaque. Remove the tuna from heat, and add any aromatic herbs that you feel will pair well with the flavor profile you have chosen for your dish. Allow the tuna to return to room temperature, then cover with plastic wrap and chill overnight. Before using, allow the tuna to return again to room temperature and voila, spreadable tuna!